Game guides can be created very easily in the game guide section of the site. From the home page, you will see a submit button at the top of the page. There is also a submit button in the sidebar for desktop and lower down the page on mobile. 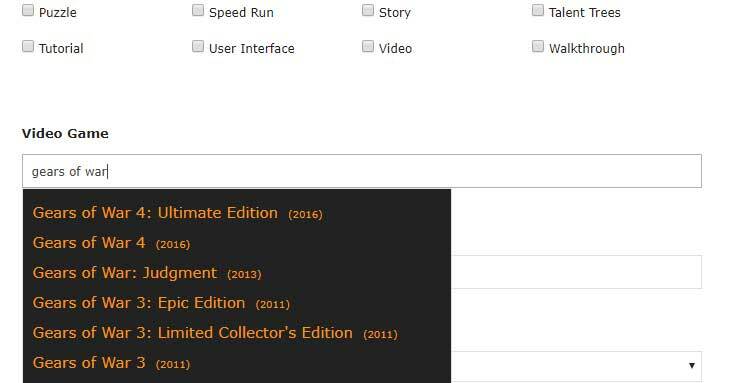 The image below shows where the buttons are for submitting game guides on the website. Clicking the link above will also bring you to the form where you can submit the guide. Bookmark this page to make it easier in the future. The advanced editor will allow you to build a detailed guide with links, images, tables and other useful structures to build a detailed guide. 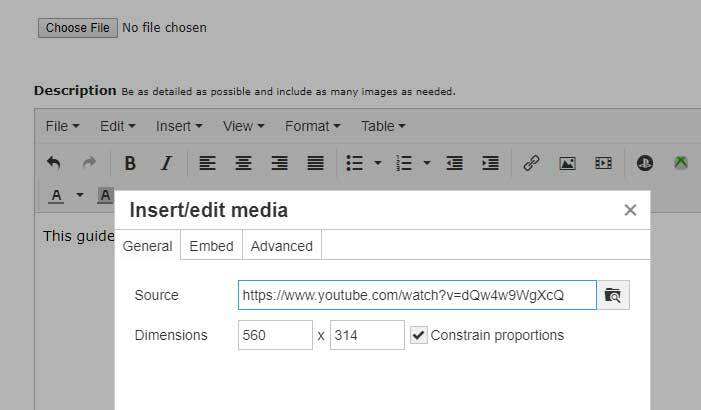 Youtube videos can be embedded using the controls in the toolbar. Try to format your post as best as possible so that it is easy to read. It is also important to make sure the post has text. A bunch of images or just a video with nothing else are likely to index very poorly and as a result, are unlikely to get any views. Always aim for around 200 words in your guides as a minimum. Search for a game in the box to get a list of suggested games. Click the game name and the game will be applied to the guide. Select all categories and platforms that apply to the type of guide in order to get the guide to show up under the correct category listings.